1. Choose the value of the Gift Voucher you would like to purchase. 2. Click the Add to Cart button for that value. 4. Download the Gift Voucher to your computer. 5. Print out the Voucher. 6. Copy your name and order number into the space provided on the Voucher. The gift voucher recipient will need to contact us with the Gift Voucher Order Number and email address they would like to use at Secrets. 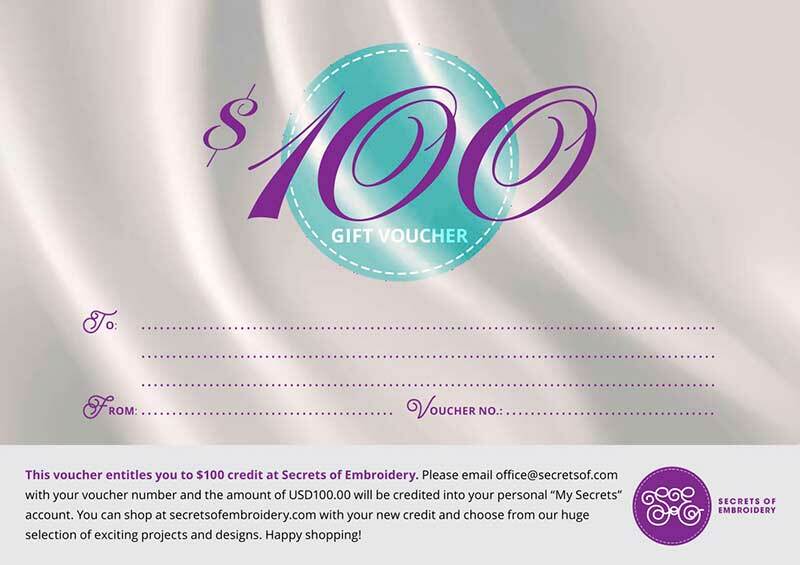 We will then credit their My Secrets Account with Secrets Dollars to the full value of the gift voucher . They will be able to use this towards any purchase at our website. If the recipient does not have a My Secrets Account already set up, we will set up one with their email address. We will also send full directions in the email on how they can spend their Secrets Dollars.